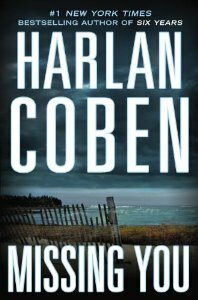 Being away always gives me the chance to catch up on some reading and thus far I have completed one whole book – Harlan Coben’s Missing you. Yep I know, hold me down, shouldn’t I have gotten through a few more by now?! Anyway, anybody read it, got any thoughts on it? I really enjoyed this book, it kept me gripped to the end and I would happily recommend it on. That said, the only part of the story that seemed to not tie up all that nicely was the relationship between Jeff and Kat. I’m not putting any spoilers out there, but wonder what other readers think. What this book did do was frighten the living daylights out of me regarding social media and cons/scams. Again no spoilers, but very interesting and plausible concepts. 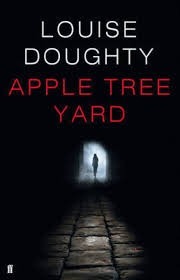 My next book is Apple Tree Yard by Louise Doughty. I’ve not read any of her books before, but this comes as a recommendation. Anybody read it? What did you think? I’ve been wanting to read Harlan Coben because his books are set in NJ where I live. Thanks for the suggestion, now I know which book I’ll read! *scratching head* Did you mention that you’re going on holiday because I don’t remember that. If I did, I would have hidden in your luggage! 😉 Hope you’re having a blast! LOL! not sure that I did. But yep, we went first to the UK for 7 days for a family wedding, we are now in Spain for 4 days visiting best friends, then heading back to the UK for 3 days and then back to Cape Town. I don’t think you’d have fitted in my suitcase, it was FULL! flaming heck I posted my reply and it disappeared, so here I try again. LOL! not sure if I mentioned my holiday, but yep, came to the UK for 7 days for a family wedding, then 4 days visiting best friends in Spain, then back to the UK for 3 days, and finally then back to Cape Town. Sadly you would not have fitted in my case, it was FULLER than FULL! Interesting theme. I read quite a few of the reader reviews – most love it, and then there are the inevitable few who don’t. Would you agree that the heroine is stereotyped? Or that characters are not filled in enough (mind you, that is characteristic of most modern novels). I have missing you in my kindle, thanks for the recommendation! Will do, still busy with Robert Harris – an officer and a spy!